Jedan od najgledanijih sportskih događaja na planeti, a bez ikakvog premca u SAD, je veliko finale NFL-a, profesionalne lige u američkom fudbalu. 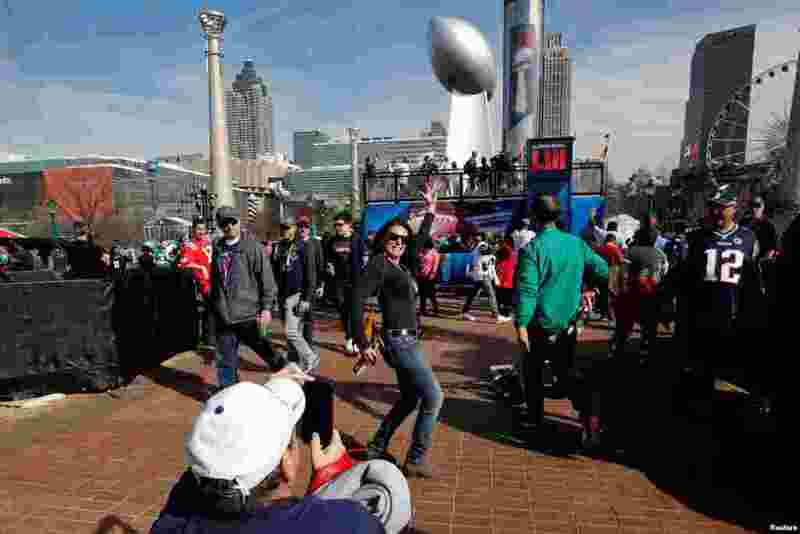 1 A woman poses near a giant replica of the Vince Lombardi Trophy during an NFL fan celebration in Centennial Park outside Mercedes Benz Stadium ahead of Super Bowl LIII in Atlanta, Georgia, Feb. 2, 2019. 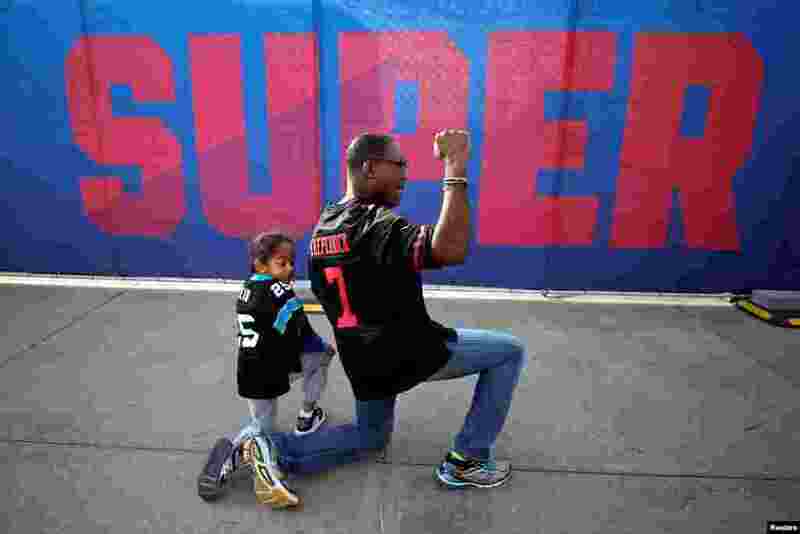 2 Anar Kahn from Atlanta, kneels with his son while wearing a Colin Kaepernick football jersey outside Mercedes Benz Stadium ahead of Super Bowl LIII in Atlanta, Georgia, Feb. 2, 2019. 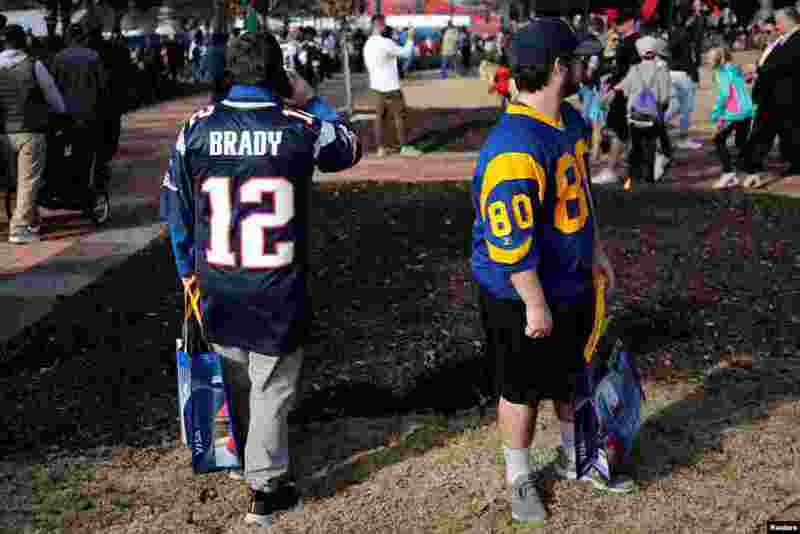 3 Fans dressed in New England Patriots and Los Angeles Rams jerseys attend an NFL fan celebration in Centennial Park outside Mercedes Benz Stadium ahead of Super Bowl LIII in Atlanta, Feb. 2, 2019. 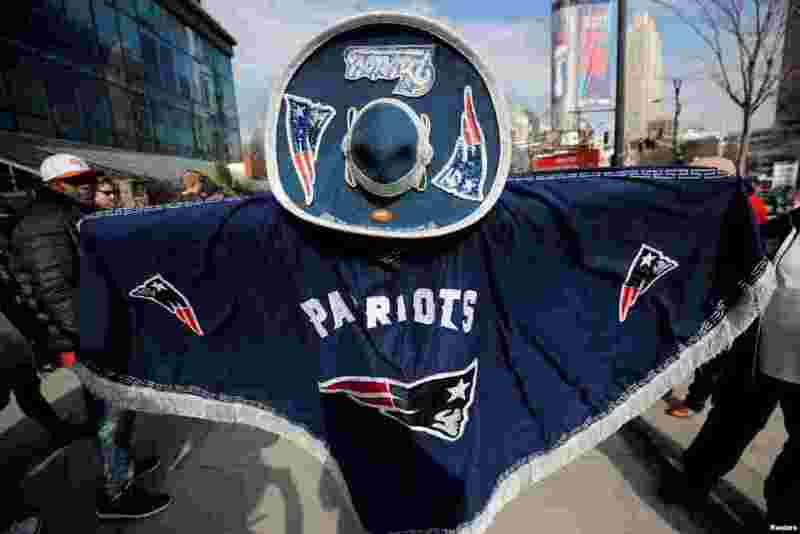 4 A New England Patriots fan wears a Patriots decorated sombrero and poncho during an NFL fan celebration in Centennial Park outside Mercedes Benz Stadium ahead of Super Bowl LIII in Atlanta, Feb. 2, 2019.